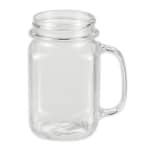 Ideal for restaurants that serve home cooking and want to enhance the down home ambience of their venue, this GET 16 oz mason jar is built to last! 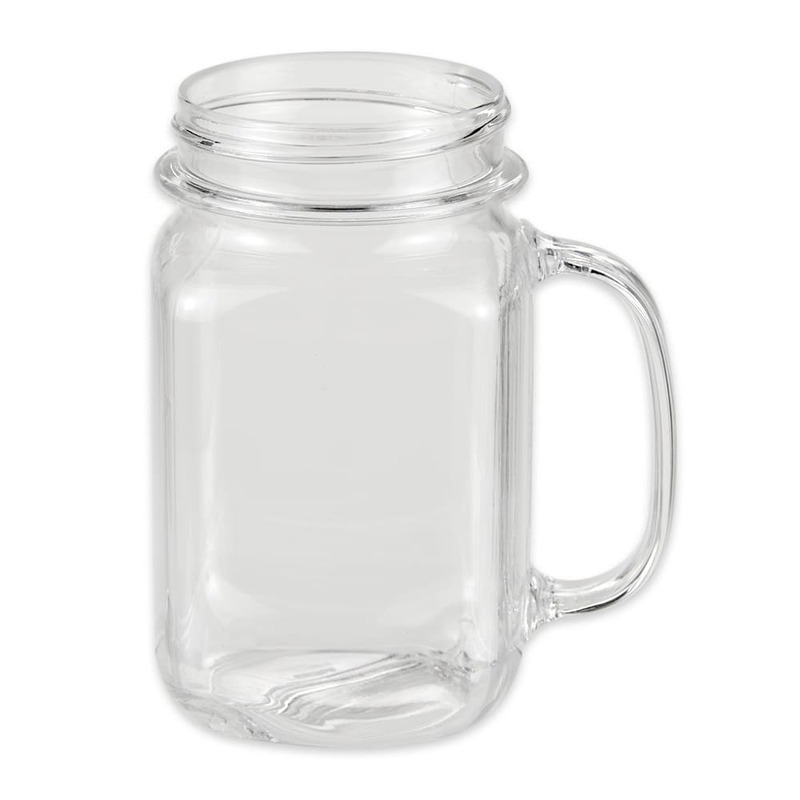 Constructed of durable polycarbonate, this 16 oz mason jar can stand up to the demands on any busy bar, restaurant or cafe. The clear constructed makes it easy to view the quality of the beverage while at the same time showcasing it in an attractive way. This 16 oz polycarbonate mason jar is great for tea, soda, and even deserts! "Purchased as a gift for my sister-in-law's restaurant. Hoping to use for iced beverages, but they really are too small - the 16 ounces is clear..."
These mugs are too small. "Purchased as a gift for my sister-in-law's restaurant. Hoping to use for iced beverages, but they really are too small - the 16 ounces is clear up to the very rim of the glass - not nearly enough for a decent serivng of ice and beverage. It does work as a water, milk, or juice glass, but not much more!"